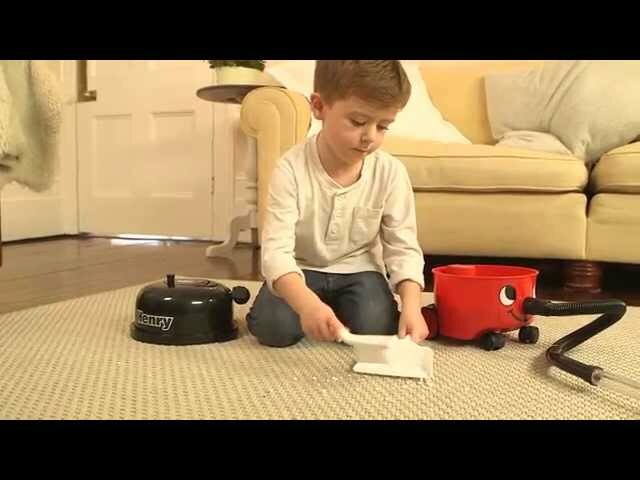 https://www.buydirect4u.co.uk/product/toys-games/casdon-toy-vacuum-cleaner/ 50349 Casdon Toy Vacuum Cleaner - Henry or Hetty https://www.buydirect4u.co.uk/wpcms/wp-content/uploads/2017/03/CTHENRY03RD-Charles-Bentley-Henry-Hoover-Red-Scale-1.jpg 24.99 24.99 GBP InStock /Toys & Games /Toys & Games/Indoor Toys & Games /Toys & Games/Indoor Toys & Games/Role Play Turn your child into a domestic god or goddess with this replica Little Hetty or Little Henry Casdon toy vacuum cleaner. Part of the Casdon ‘little helper’ range, this vacuum cleaner toy will keep them busy cleaning for hours. Featuring a removable debris drawer, working suction, hose, ‘T’ shaped nozzle and sucker plug, this hoover is just like the real thing. Complete with a dust pan, your child can neatly store away these tools inside the hoover. A stimulated cord can be reeled in, just by turning the handle, just like the grown-up version. The friendly character design adds to the fun and realism of this cleaning product. This Casdon toy vacuum cleaner would make a wonderful gift for any young child and is available in a choice of two vibrant colourways. Your little one will have hours of fun with their siblings hoovering and cleaning up, with this fantastic replica ‘Little Henry’ or ‘Little Hetty’ vacuum cleaner. Turn your child into a domestic god or goddess with this replica Little Hetty or Little Henry Casdon toy vacuum cleaner. Part of the Casdon ‘little helper’ range, this vacuum cleaner toy will keep them busy cleaning for hours. Featuring a removable debris drawer, working suction, hose, ‘T’ shaped nozzle and sucker plug, this hoover is just like the real thing. Complete with a dust pan, your child can neatly store away these tools inside the hoover. A stimulated cord can be reeled in, just by turning the handle, just like the grown-up version. The friendly character design adds to the fun and realism of this cleaning product. This Casdon toy vacuum cleaner would make a wonderful gift for any young child and is available in a choice of two vibrant colourways.